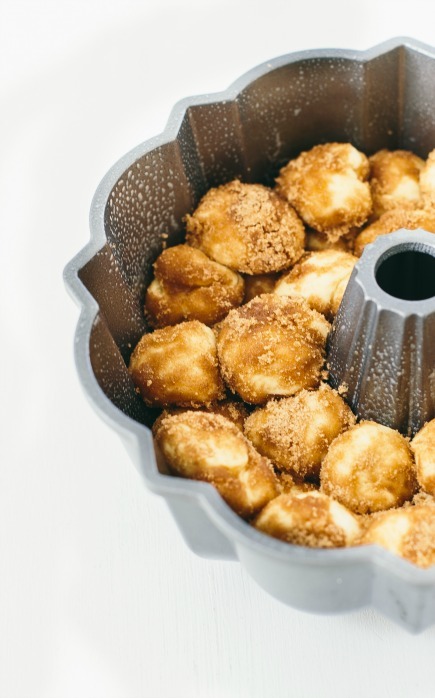 Grease a 12-cup nonstick Bundt pan. In a small bowl, mix together the brown sugar, cinnamon, ginger, nutmeg, cloves, and salt. Set aside. 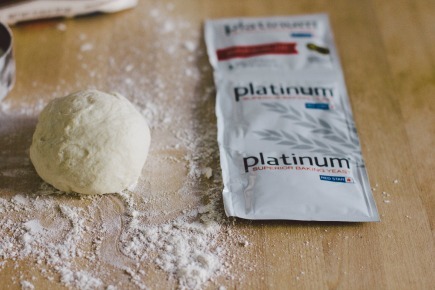 Sprinkle the surface of your dough with flour and take out a 2-pound piece. Roll the dough into a log, about 2-inches in diameter. Cut the log into about 8 slices and then cut the slices into quarters, for a total of 32 pieces. Roll the dough into balls. 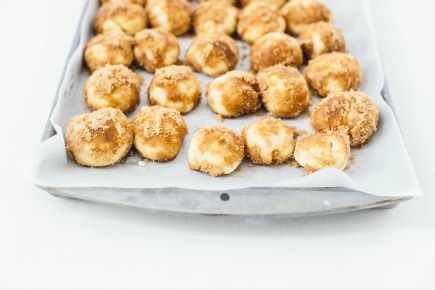 Roll the balls (a few at a time) in the melted butter, and then in the sugar-spice mixture. Arrange the balls evenly into the Bundt pan. 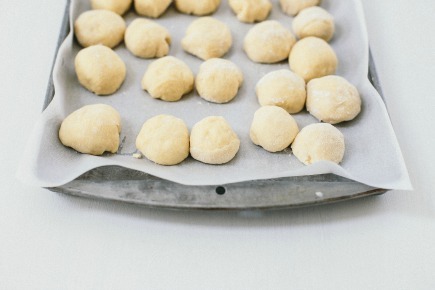 Sprinkle any left over butter and sugar over the top of the dough balls, and then cover the pan with plastic wrap. Let rise in a warm place until doubled in size, 1 to 1½ hours. In the bowl of a stand mixer, combine the butter and cream cheese. Beat until smooth and creamy, 2-3 minutes. Add the vanilla, bourbon, and salt, and mix to combine. Add the powdered sugar to the mixer and mix on low until combined, then increase the speed to medium and beat until smooth and creamy. Can this be made the night before and set to rise in the fridge? 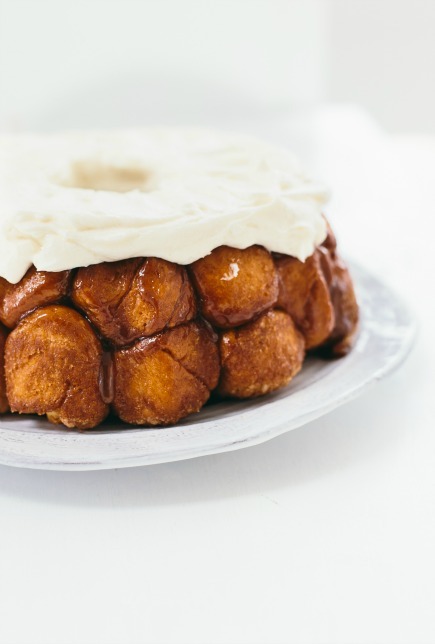 I’ve tried to make monkey bread for my egg & dairy allergic child before, and it was a failure every time. I think it’s failed due to the dairy free butter. If I want to use Earth Balance spread (dairy free) what else would I add to compensate? I’ve made kneaded breads, bread machine breads, and “starter breads, ” but I love your method so much more than any other – especially with our busy family! Thank you for the books, website, & videos! Hi. I have actually made the brioche and challah with the Earth Balance and they were great. 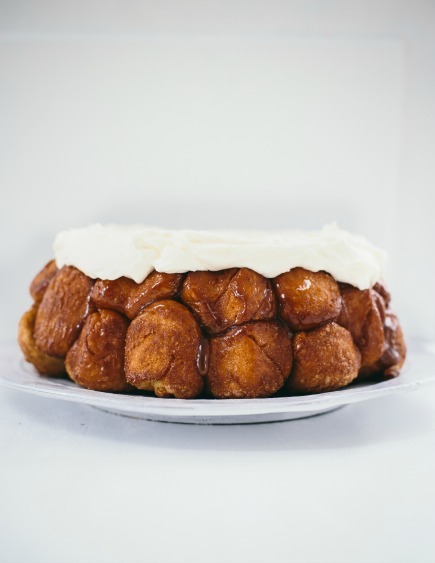 I would recommend using the challah recipe for the monkey bread. Did I miss something or is there actually no pumpkin in the recipe? I keep looking. This recipe uses just the pumpkin spice, but you can use the pumpkin brioche recipe if you want to introduce pumpkin. Using the gf brioche based cinnamon roll recipe. Love the taste, but I can’t get them to seal tight. They unceremoniously unroll during baking. Book says pinch. I have used the pinch, but doesn’t hold. Any thoughts?